They are made to closely resemble your natural teeth and may even enhance your smile. There are two types of dentures: complete and partial dentures. Complete dentures are used when all of the teeth are missing, while partial dentures are used when some natural teeth are present. A partial denture not only fills in the spaces created by missing teeth, it prevents other teeth from moving. A Complete denture may be either “conventional” or “immediate”. A conventional type is made after the teeth have been removed and the gum tissue has healed, usually taking 4 to 6 weeks. During the time the patient will go without teeth. Immediate dentures are made in advance and immediately placed after the teeth are removed, thus preventing the patient from having to be without teeth during the healing process. Once the tissues shrink and heal, adjustments will be made. Dentures are very durable and will last many years, but may have to be remade, repaired, or readjusted due to normal wear. 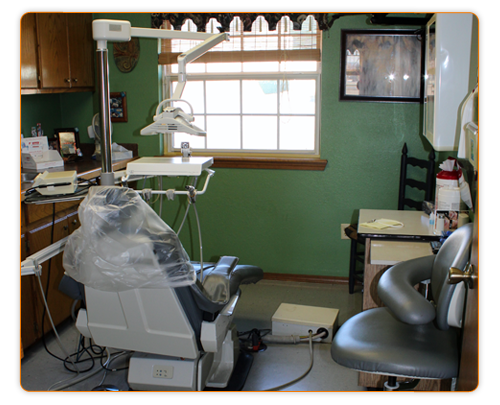 The process of getting dentures requires several appointments, usually over the course of several weeks. Highly accurate impressions and measurements are taken and used to create your custom denture. Several try-in appointments may be necessary to ensure proper shape, color and fit. At the final appointment, your dentist will precisely adjust and place the completed denture, ensuring a natural and comfortable fit. It is normal to experience increased saliva flow, some soreness, and possible speech and chewing difficulty; however, this will subside as your muscles and tissues get use to the new dentures.